The INTERMEDIATE series incorporates 3/4" material for all PaperStone components and is available with either an aluminum or PaperStone head-rail. 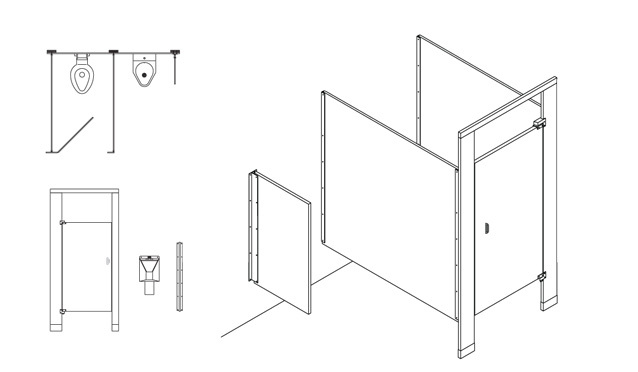 The Intermediate series extends to the decision maker a number of options including the addition of radiuses to the top of doors, panels and even head-rails. These custom options turn a typical utilitarian application into a restroom with attractive, furniture like, inviting privacy compartments.